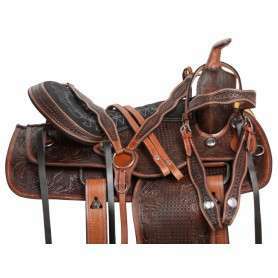 This western barrel saddle has just the right amount of flair for the rodeo, while also being practical enough for schooling or trail ridding! 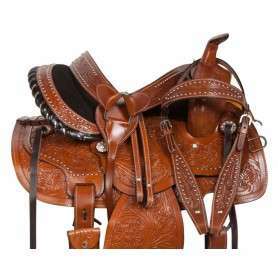 The saddle features hand carved floral tooling on American chestnut leather that offers a great, classic look. 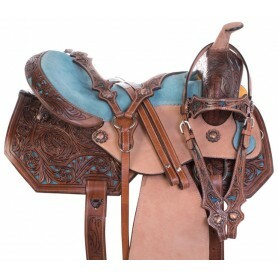 This beautiful blue inlay saddle is a true one of a kind saddle package! 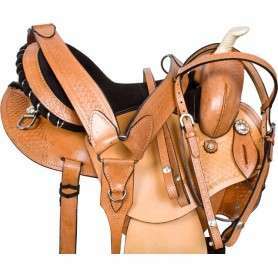 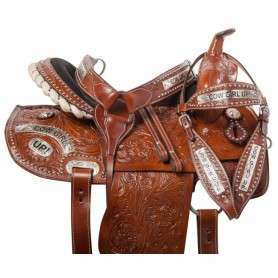 This saddles features a hand carved floral tooling that is accented with a rough out leather on the jockey flaps and fenders that give this set a two dimensional affect. 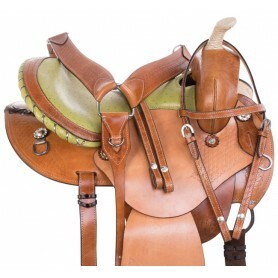 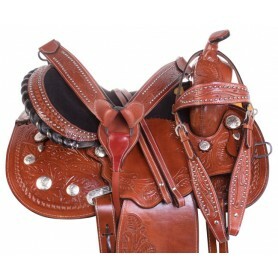 Get ready to turn and burn in this beautiful two-tone barrel saddle! 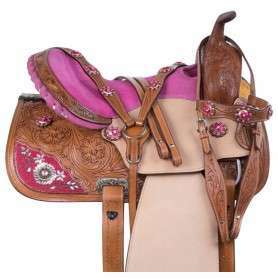 This saddle features a beautiful hand tooled basket weave and floral design that is beautifully accented on a medium oil leather.